Whilst Boothy had a fiery start, he expressed that is wasn’t a flawless race from start to finish with a few mistakes early on causing him to fall and have to regain composure. “I quickly went from the lead to third place at about 3km into the race, making it challenging to make up ground that was lost. “It’s never easy having to make a come-back after a mistake, but I was really focussed on the fact it was a longer race and therefore I had time and distance to rebuild momentum”. Retrieving his best form, Michael says he focussed on counting strokes and maintaining a good pace. “It was a bit of a drag race from start to end and was certainly a grind to the finish line”. With the tide throwing tricky conditions at competitors, Booth expressed his difficulty in picking the best line on the day. “It was quite hard to know which line to take, the inside or the outside as they both presented pros and cons for different reasons”. Whilst it could have been easy to become distracted with other competitors approaching the race very differently, going with his gut and sticking to his own plan fortunately worked in Boothy’s favour on the day. “I felt really good going into the race and was well rested after a week holidaying and coaching in Canada. “It felt great to take out the win again on the weekend and build my confidence back up as I head into the final few months of the year”. 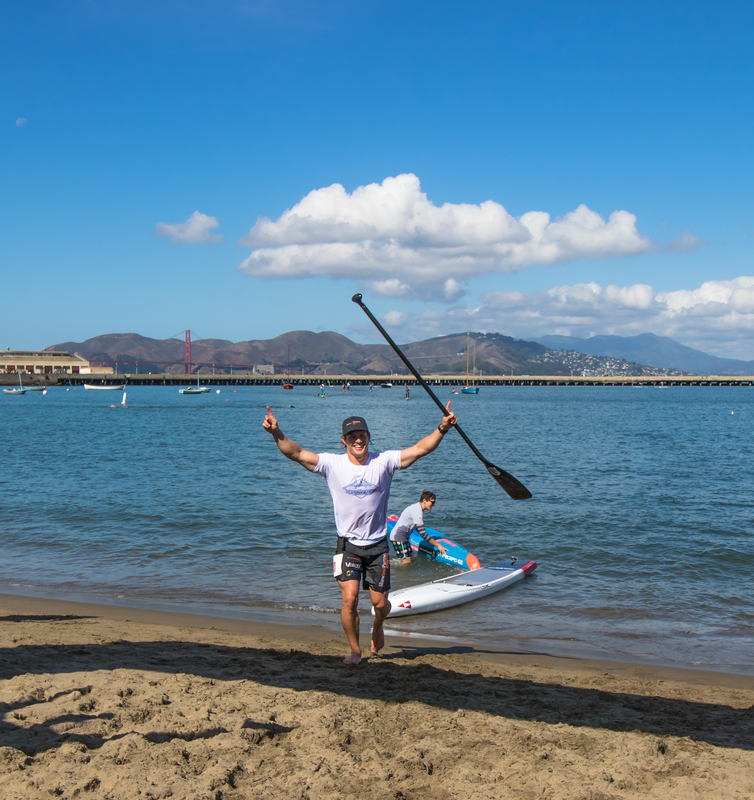 Michael will be back to race in San Francisco next month for the APP Heavy Water event, but for now recovery is key and freshening up the body ahead of the Pacific Paddle Games held next weekend is vital. Known as the “Super Bowl” of SUP racing, the PPG will take place on the 6th and 7th of October in Orange County, USA.